Frank Smith is a band, not a man. I figured you would know that, as the group has been knocking around for nearly 10 releases, but I’m thinking Nineties is their best work to date. It’s got roots in the world of folk music, sure, but it pushes the envelope with more than its share of loud guitars and careful musical accompaniment. You won’t find a better opener for Nineties than “We All Win;” it opens with little more than vocals and strummed guitars…a few of the notes receive an extra twang in the mix. 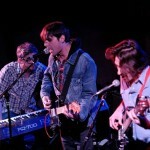 While it might be one of the quietest tracks on the record, it provides a teaser of sorts, just whetting your appetite. Soon you’ll find the pure pleasure that is “Beaten Sacks of Death.” I love the way the guitar turns at the chorus, taking the Americana roots and gearing it up for a more rocking ensemble. What steals the show, at least in this tune is the accessorizing done musically; the accompaniment draped all provides perfect accentuation at every turn. Oh, and wait for the stomp just after the 2 minute mark; you’ll surely come back for more. What will stand out to many of the fans of Frank Smith will be the more complete, even louder, presence here. If you look at the middle section of the album with songs like “How Many Ways” and “It’ll Be Over Soon,” you will see the decibels rising in your ear, but importantly, the band’s sound isn’t lost here. There’s a slight drawl on the vocals on “How Many Ways,” and the song opens slowly. However, the group jumps off into a rocking jam; dig the echoing guitar in the background. “It’ll Be Over Soon” nears a full on rock track, though with hints at country nostalgia with slight electric organ touches throughout. The chorus reminds me of how good simple lyrics can come across in this genre, like those great Old 97s tunes. Even with the louder sound here, don’t sleep on the band’s ballads. “One Day” is probably one of my favorite tracks on Nineties. Everything on this track fits; there’s acoustic strumming, changes in the vocal pitch, gang vocals, piano tinkering, even a distorted guitar breakdown…this song has it all. It all prepares you for the elegant album closer, “Chewing Glass.” The piano serves as the backbone on this number, with the guitar swirling around both vocals and piano. Personally, I like the fact that the lyrics can be easily sung, as is the case with all the tracks on the record. If you’re not affected by one listen to this tune then I have a feeling that something’s wrong with your heart. I don’t want to make too much of a fuss about a more pronounced sound on Nineties, as I think that’s really unfair to the record. 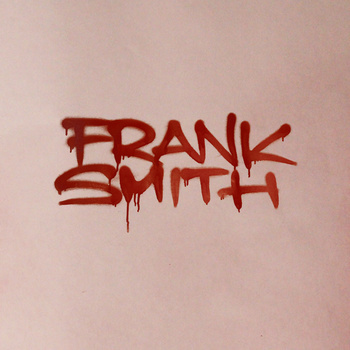 While it may be louder, you’ll find absolute joy listening for the finer touches in the nooks and crannies of the album; you’ll also rejoice that Frank Smith sounds exactly like, well, Frank Smith. I think the band is officially ready to take on the world, so join in on the fun, won’t you? 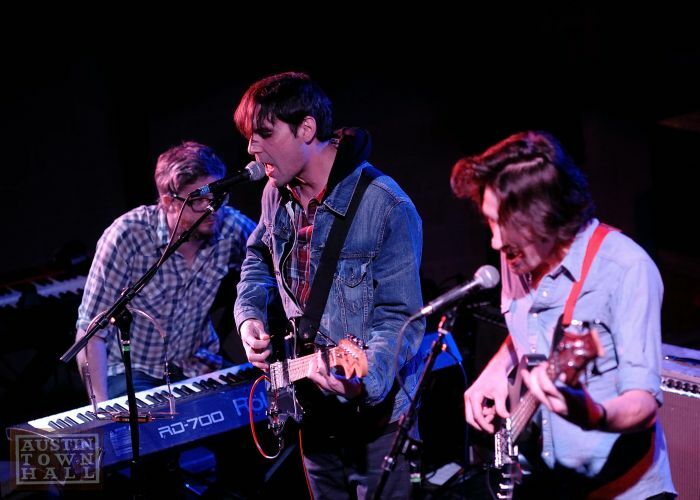 The word might be out that there’s a fuller sound, and even a more rocking sound, on the new album from Austin outfit Frank Smith. For me, none of that matters at all, especially when you listen to the quality of this latest single, “Chewing Glass.” It’s got the backbone of a piano, with the guitar ringing in the distance; it paints the picture of what I always think of when it comes to Texas defined music, though with a heavier leaning here, slightly. I’m already calling this one of my favorite tracks of the year. The band’s new album, Nineties, is out next week!